Online commerce is flourishing in today’s world of technology. 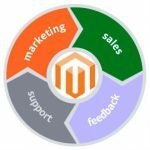 In a consistently competitive market, it is vital for eCommerce website managers to maintain customers’ satisfaction in every possible way. Thinking of the common reasons that can cause clients’ dissatisfaction with shopping online, one of the first things that come to mind is when the ordered product is shipped to the wrong address or is lost on its way to the customer. Why does it happen? With life speeding up, people seem to be in a constant rush which makes them likely to make mistakes as, for example, mixing up the order of zip code numbers or misspelling the street address while filling out the shipping address form. Luckily, we know how to solve this problem and are happy to present to your attention an IWD Magento 2 Address Validation extension. With this extension, you can control if a customer has indicated a correct shipping address before they place an order by validating it with USPS, UPS, or Google Maps. 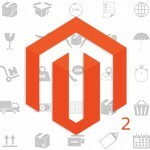 Let’s take a closer look at what Magento address verification system has to offer. 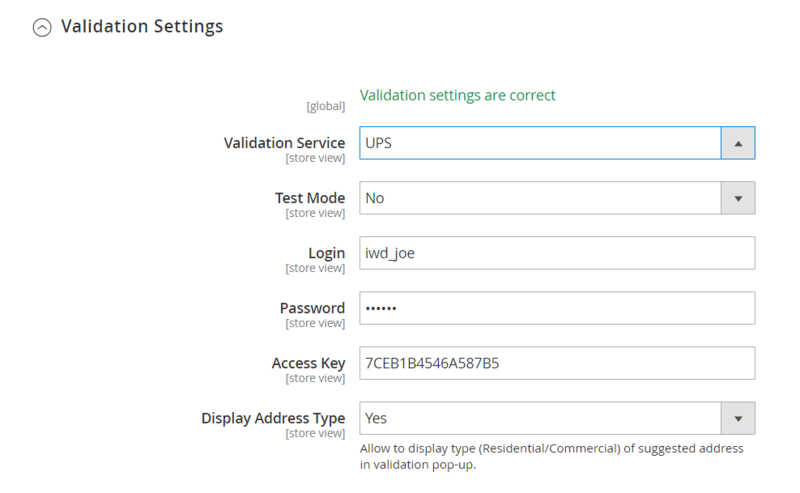 2.0.1 In the Validation Settings section, you are free to select what validation service you would like to use. If you decide to verify shipping addresses with United States Postal Service, you need to enter your USPS account ID. 2.0.2 Using United Postal Services requires entering more data such as UPS account information and API key, but it also provides you with an opportunity to display type, either residential or commercial, of the suggested address in the verification pop-up. 2.0.3 If you want to verify shipping addresses with the help of Google Maps, all you need to do is to generate and enter API key, which is free. Once a customer has added all items they want to purchase to the shopping cart, they proceed to the Checkout page. Before filling out card details, the eCommerce websites usually require their customers to choose the shipping method and provide or confirm their shipping address. Here our IWD address verification module comes into action. 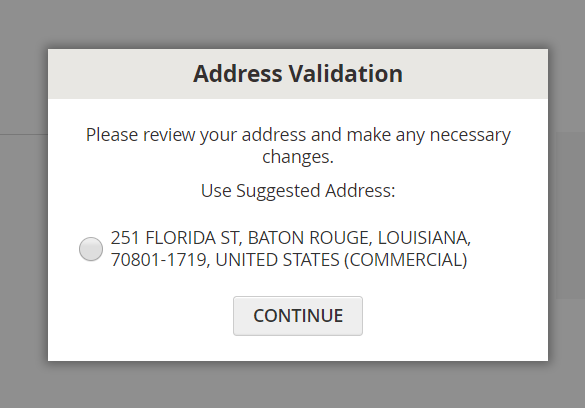 With the help of Google Maps, UPS, and USPS, the Magento 2 address validation extension verifies the client’s address. In case it turns out to be invalid, the corresponding message will pop-up asking the customer to review their address and suggesting the correct one. On the backend side, you can configure the extension in such a way that it allows customers place orders only in case they choose a valid shipping address. With IWD international address verification tool the validation process is entirely under your control. Let’s see what it can offer in more detail. 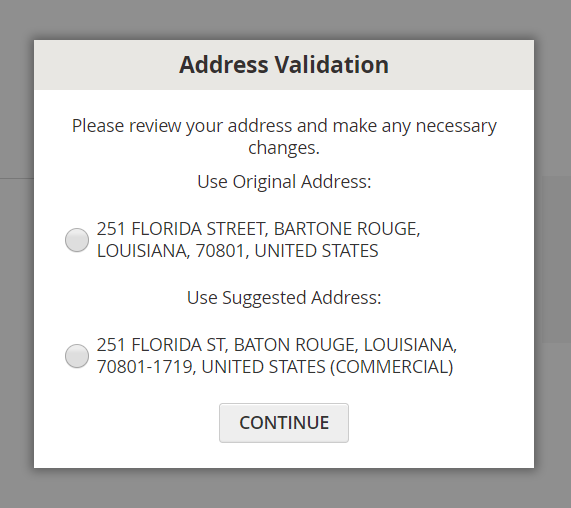 In General configuration, you can enable and disable address verification functionality in your online store and decide whether the customers are permitted to order products with invalid shipping addresses. 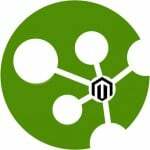 After that, Magento 2 address validation module enables you to modify the content of the message that pops up when the customers provide an incorrect address. In Content settings, you can change the pop-up title, invalid address message, and original and suggested address subtitles. In the Validation Settings section, you are free to select what validation service you would like to use. If you decide to verify shipping addresses with United States Postal Service, you need to enter your USPS account ID. Using United Postal Services requires entering more data such as UPS account information and API key, but it also provides you with an opportunity to display type, either residential or commercial, of the suggested address in the verification pop-up. If you want to verify shipping addresses with the help of Google Maps, all you need to do is to generate and enter API key, which is free. 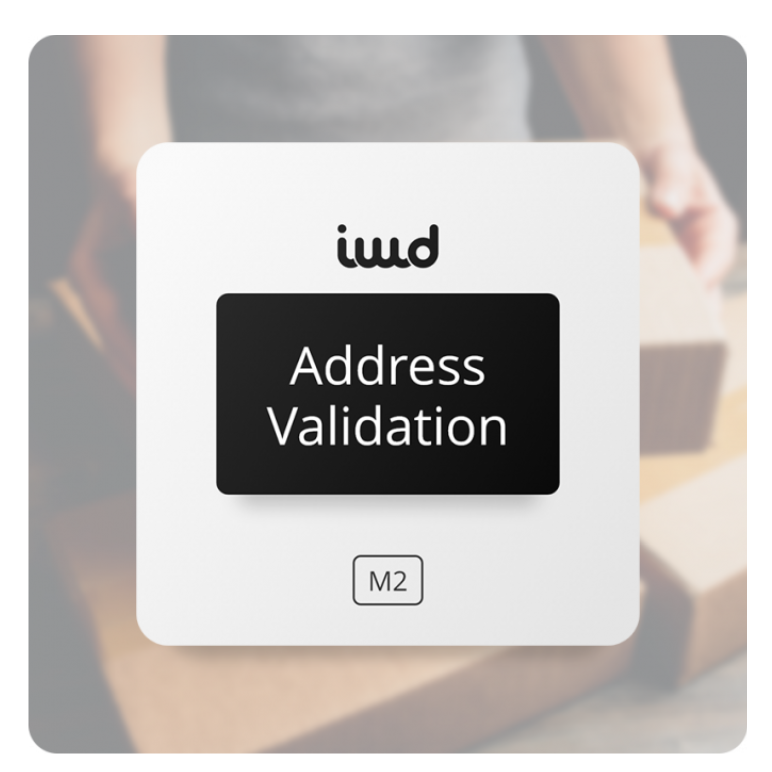 The IWD Address Validation Magento 2 Module is designed to protect your online store from shipping items to invalid addresses which, in turn, secures customers’ satisfaction with your service. The orders will no more get lost on their way because of the typos in a zip code or street address. By doing so, you will only increase customers’ loyalty to your product. The price of the Magento Address Validation Extension starts at $249 for Community Edition and includes 90 days of the free upgrade. For additional $125 the Support team is ready to assist you in module installation in case you need help.